Click for larger view - Fig. 1 of the paper, reproduced with permission of the authors. 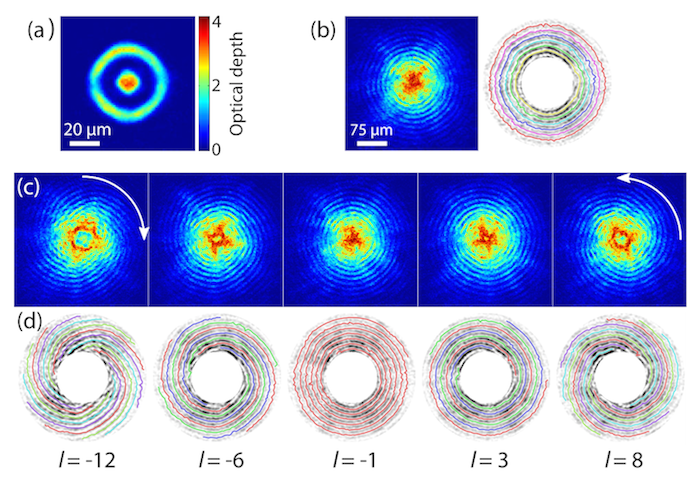 (a) Absorption image of the ring and disk BECs with dimensions. 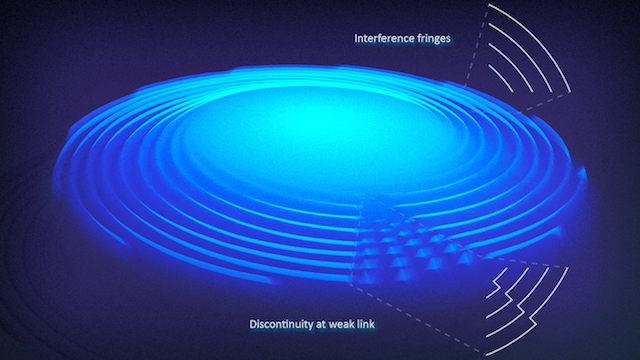 (b) Example interference pattern when there is no current in the ring. 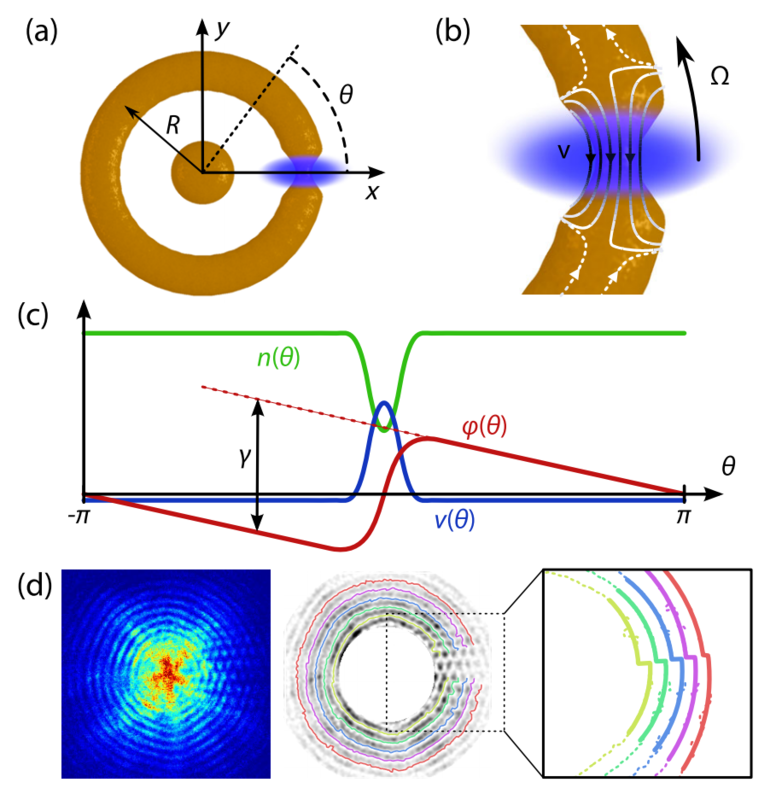 (c) Interference patterns for various rotations of the ring, with arrows showing the direction of rotation. (d) Traces of the interference fringes. Click for larger view - Fig. 2 of the paper, reproduced with permission of the authors. (a) Schematic of the atoms in the trap, with weak link applied. (b) Close-up of the weak link region. When the weak link is rotated, atoms flow through (solid lines) and around (dashed lines) the weak link. (c) The resulting density n(Θ), velocity v(Θ) and phase Φ(Θ) as a function of angle, with the phase drop γ across the weak link shown. (d) Method of extracting the phase from and interferogram (left). First, we trace the interference fringes around the ring (center), and then we fit the discontinuity across the region where the barrier was (right).